One of the best sites to keep up with Advanced Manufacturing tools, methods, and industry goings-on is 3dprintingindustry.com. 'In what seems to be the fulfilment of a promise by Barack Obama to increase the competitiveness of US schools, Buford Middle School in Charlottesville, Virginia will be opening a lab school devoted to advanced manufacturing, the first in a series of work and experience-oriented hubs that will connect K-12 students to Virginia’s state universities. 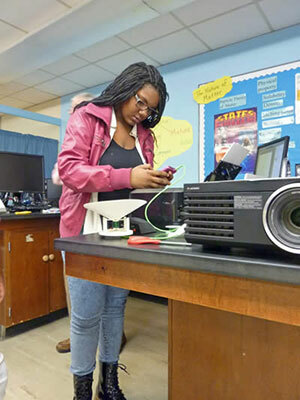 To kick off the program, Buford Middle School hosted an hour and half-long workshop on 3D printing, in which students were able to construct their own stereo speakers, creating plastic components with 3D printers and subwoofers from paper. The event received international attention from such camera crews as Nippon Television from Japan, trying to glimpse the steps the US education system was taking to improve science education in the country. Not unlike magnet programs, the lab schools will be incorporated into public middle schools and high schools. They will be open to the larger school population; however, in the case of Buford and Jack Jouett Middle Schools, only 500 8th graders will be able to enroll at the beginning, providing some lucky students access to hands-on STEM education. The lab schools, which will also be found in Charlottesville High School and Albemarle High School, will be taught with the help of university students from the University of Virginia‘s Curry School of Education and School of Engineering and Applied Science. And all of the partner institutions will communicate with one another virtually, by means of video conferencing tools. The potential of these schools could be quite awesome, providing eligible students with a university level education surrounding extremely interesting ideas with real world application. As the program expands, students at the high school level will be able to earn college credit in these classes through their local community college, certainly giving them a head start in college education. But, in considering that the program received a good deal of its funding through a state grant from Virginia governor Bob McDonnell, the party partly responsible for convincing Northrop Grumman to move its headquarters to Virginia, my concern is the bigger picture, which includes the partnership between the University of Virginia and the Commonwealth Center for Advanced Manufacturing (CCAM). So, while the school partnerships will no doubt greatly improve the STEM programs in key Virginia public schools, I am wary of where the career tracks found in those schools will lead. As students determine their careers in high school, funneled into the University of Virginia’s excellent engineering programs, are they also determining their future employment in companies with vested interests in the military? And, while I am certain that the state’s partnership between industry and education will increase employment, the question becomes employment in what sort of jobs? I suppose that only time will tell. In the meantime, Virginia students increased access to 3D printing will, hopefully increase overall interest among young people countrywide, leading to more and more Makers in the United States. Please have look around 3D Printing Industry Site. It occurred to me recently - what with all the commentary and supporting evidence - how many government systems, commissions and think tanks; how many public institutions and services; and how many private enterprises and organizations are actually aligning for the Singularity? How will the Singularity affect kingdom realms and nation-state constitutions, civil rights, and the integral Parliaments, Senates and International Unions that are hermetically coupled to such charters? How will it impact on private and public healthcare, education, social security, town and county councils? And as for entrepreneurial startups, and small and medium businesses, what are they planning for the Singularity? It seems to me, considering cultural evolution time-frames, that the Singularity is not merely just hovering at the door, but beginning to eat off our best china! If the long list of technological innovations - supra-sentient machine intelligence, instant low-cost instant production of any metamaterial, gadget and food stuffs, not to mension ubiquitous super-automata – that is being reported hourly, even minute-to-minute on the web, then why is the Singularity not daily ‘headline six o’clock news’ or top of the strategic agenda for governments? The likes of the giants Google, Microsoft and IBM; even lead Universities like MIT, Caltech and Cambridge are well on the way to meeting the meta-challenges, and in many cases actually the instigators of the Singularity! Well it will be terrifying if the general public are not conditioned and prepared of the marvel happening. And the use of language like marvel needs to be taken into mindful consideration as we near the Singularity. It may be the case - as Ray Kurzweil maintains - that the Universe is about to wake up. Ray Kurzweil and his confederates need to rigorously think about all this and bring it up at the SU (grossly assuming they’re not already). The rate of paradigm shift (technical innovation) is accelerating, right now doubling every decade. The power (price-performance, speed, capacity, and bandwidth) of information technologies is growing exponentially at an even faster pace, now doubling about every year. This principle applies to a wide range of measures, including the amount of human knowledge. For information technologies, there is a second level of exponential growth: that is, exponential growth in the rate of exponential growth (the exponent). The reason: as a technology becomes more cost effective, more resources are deployed toward its advancement, so the rate of exponential growth increases over time. For example, the computer industry in the 1940s consisted of a handful of now historically important projects. Today total revenue in the computer industry is more than one trillion dollars, so research and development budgets are comparably higher. Human brain scanning is one of these exponentially improving technologies. As I will show in chapter 4, the temporal and spatial resolution and bandwidth of brain scanning are doubling each year. We are just now obtaining the tools sufficient to begin serious reverse engineering (decoding) of the human brain's principles of operation. We already have impressive models and simulations of a couple dozen of the brain's several hundred regions. Within two decades, we will have a detailed understanding of how all the regions of the human brain work. We will have the requisite hardware to emulate human intelligence with supercomputers by the end of this decade and with personal-computer-size devices by the end of the following decade. We will have effective software models of human intelligence by the mid-2020s. human intelligence with the strengths of machine intelligence. The traditional strengths of human intelligence include a formidable ability to recognize patterns. The massively parallel and self-organizing nature of the human brain is an ideal architecture for recognizing patterns that are based on subtle, invariant properties. Humans are also capable of learning new knowledge by applying insights and inferring principles from experience, including information gathered through language. A key capability of human intelligence is the ability to create mental models of reality and to conduct mental "what-if" experiments by varying aspects of these models. The traditional strengths of machine intelligence include the ability to remember billions of facts precisely and recall them instantly. Another advantage of nonbiological intelligence is that once a skill is mastered by a machine, it can be performed repeatedly at high speed, at optimal accuracy, and without tiring. slow speed of human knowledge-sharing through language. Nonbiological intelligence will be able to download skills and knowledge from other machines, eventually also from humans. Machines will process and switch signals at close to the speed of light (about three hundred million meters per second), compared to about one hundred meters per second for the electrochemical signals used in biological mammalian brains.31 This speed ratio is at least three million to one. Machines will have access via the Internet to all the knowledge of our human-machine civilization and will be able to master all of this knowledge. Machines can pool their resources, intelligence, and memories. Two machines—or one million machines—can join together to become one and then become separate again. Multiple machines can do both at the same time: become one and separate simultaneously. Humans call this falling in love, but our biological ability to do this is fleeting and unreliable. The combination of these traditional strengths (the pattern-recognition ability of biological human intelligence and the speed, memory capacity and accuracy, and knowledge and skill-sharing abilities of nonbiological intelligence) will be formidable. Machine intelligence will have complete freedom of design and architecture (that is, they won't be constrained by biological limitations, such as the slow switching speed of our interneuronal connections or a fixed skull size) as well as consistent performance at all times. nonbiological portion of our civilization's intelligence will then continue to benefit from the double exponential growth of machine price-performance, speed, and capacity. Once machines achieve the ability to design and engineer technology as humans do, only at far higher speeds and capacities, they will have access to their own designs (source code) and the ability to manipulate them. Humans are now accomplishing something similar through biotechnology (changing the genetic and other information processes underlying our biology), but in a much slower and far more limited way than what machines will be able to achieve by modifying their own programs. Biology has inherent limitations. For example, every living organism must be built from proteins that are folded from one-dimensional strings of amino acids. Protein-based mechanisms are lacking in strength and speed. We will be able to reengineer all of the organs and systems in our biological bodies and brains to be vastly more capable. will be able to reformulate their own designs and augment their own capacities without limit. By using nanotechnology-based designs, their capabilities will be far greater than biological brains without increased size or energy consumption. Machines will also benefit from using very fast three-dimensional molecular circuits. Today's electronic circuits are more than one million times faster than the electrochemical switching used in mammalian brains. Tomorrow's molecular circuits will be based on devices such as nanotubes, which are tiny cylinders of carbon atoms that measure about ten atoms across and are five hundred times smaller than today's silicon-based transistors. Since the signals have less distance to travel, they will also be able to operate at terahertz (trillions of operations per second) speeds compared to the few gigahertz (billions of operations per second) speeds of current chips. The rate of technological change will not be limited to human mental speeds. Machine intelligence will improve its own abilities in a feedback cycle that unaided human intelligence will not be able to follow. This cycle of machine intelligence's iteratively improving its own design will become faster and faster. This is in fact exactly what is predicted by the formula for continued acceleration of the rate of paradigm shift. One of the objections that has been raised to the continuation of the acceleration of paradigm shift is that it ultimately becomes much too fast for humans to follow, and so therefore, it's argued, it cannot happen. 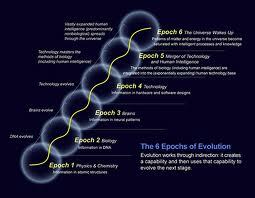 However, the shift from biological to nonbiological intelligence will enable the trend to continue. Along with the accelerating improvement cycle of nonbiological intelligence, nanotechnology will enable the manipulation of physical reality at the molecular level. Nanotechnology will enable the design of nanobots: robots designed at the molecular level, measured in microns (millionths of a meter), such as "respirocytes" (mechanical red-blood cells).33 Nanobots will have myriad roles within the human body, including reversing human aging (to the extent that this task will not already have been completed through biotechnology, such as genetic engineering). Nanobots will interact with biological neurons to vastly extend human experience by creating virtual reality from within the nervous system. Billions of nanobots in the capillaries of the brain will also vastly extend human intelligence. Once nonbiological intelligence gets a foothold in the human brain (this has already started with computerized neural implants), the machine intelligence in our brains will grow exponentially (as it has been doing all along), at least doubling in power each year. In contrast, biological intelligence is effectively of fixed capacity. Thus, the nonbiological portion of our intelligence will ultimately predominate. Nanobots will also enhance the environment by reversing pollution from earlier industrialization. Nanobots called foglets that can manipulate image and sound waves will bring the morphing qualities of virtual reality to the real world. The human ability to understand and respond appropriately to emotion (so-called emotional intelligence) is one of the forms of human intelligence that will be understood and mastered by future machine intelligence. Some of our emotional responses are tuned to optimize our intelligence in the context of our limited and frail biological bodies. Future machine intelligence will also have "bodies" (for example, virtual bodies in virtual reality, or projections in real reality using foglets) in order to interact with the world, but these nanoengineered bodies will be far more capable and durable than biological human bodies. Thus, some of the "emotional" responses of future machine intelligence will be redesigned to reflect their vastly enhanced physical capabilities. As virtual reality from within the nervous system becomes competitive with real reality in terms of resolution and believability, our experiences will increasingly take place in virtual environments. In virtual reality, we can be a different person both physically and emotionally. In fact, other people (such as your romantic partner) will be able to select a different body for you than you might select for yourself (and vice versa). The law of accelerating returns will continue until nonbiological intelligence comes dose to "saturating" the matter and energy in our vicinity of the universe with our human-machine intelligence. 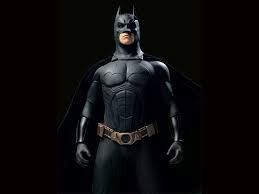 By saturating, I mean utilizing the matter and energy patterns for computation to an optimal degree, based on our understanding of the physics of computation. As we approach this limit, the intelligence of our civilization will continue its expansion in capability by spreading outward toward the rest of the universe. The speed of this expansion will quickly achieve the maximum speed at which information can travel. 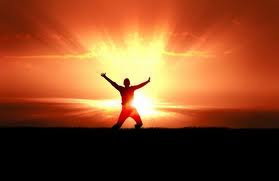 Ultimately, the entire universe will become saturated with our intelligence. This is the destiny of the universe. We will determine our own fate rather than have it determined by the current "dumb," simple, machine like forces that rule celestial mechanics. The length of time it will take the universe to become intelligent to this extent depends on whether or not the speed of light is an immutable limit. There are indications of possible subtle exceptions (or circumventions) to this limit, which, if they exist, the vast intelligence of our civilization at this future time will be able to exploit. This, then, is the Singularity. Some would say that we cannot comprehend it, at least with our current level of understanding. For that reason, we cannot look past its event horizon and make complete sense of what lies beyond. This is one reason we call this transformation the Singularity. And while I’m in this sophist mood; if it does come push to shove and the Singularity does start to scare people, don’t forget that we - the human race - are all one family. Whether black, white, yellow, red, purple; or Jewish, Christian, Muslim, Hindu, Seek; or Street Urchin or President or Prime; we are all one family; all related to each other genetically. We all share the same biological legacy and inheritance. We all arose from the same family that left the planes of Africa two-hundred thousand years ago. 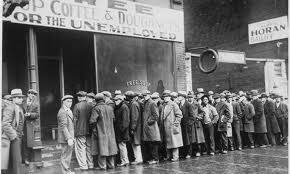 ‘70,000 More Unemployed in UK,’ reports the BBC 6 'O’Clock News! Unemployment jumped by 70,000 in the three months to the end of February, amid the lowest growth in pay rises since 2001, as pressure mounts on George Osborne to adopt a more aggressive growth strategy. The number of unemployed people reached 2.56 million, with 20,000 under 25-year-olds joining the jobless ranks, pushing the unemployment rate up from 7.8% to 7.9%. It was the third consecutive increase and the highest level since July. Britain's working population is also suffering from an austerity squeeze, with the average pay rise slipping to 1%, the lowest since records began in 2001 and well short of the 2.8% inflation rate. Is it that there is a coming third Recession in as many years?... Is it that automation - Automatic Teller Machines (ATMs), Supermarket Autocheckout Tills (SATs), Ubiquitous Databases (UDBs), et al - have become so pervasiveness and productivity that ''Robots' are reaching record numbers and productive heights? Are the British lazy people? Have vast numbers gotton used to benefits culture? Is it that the British can't stand up for themselves? Is the average British person too scared to go knocking on doors for work? Are the British snobs? So that an unemployed graduate engineer or nurse or lab technician is too good to scrub floors? Have they lost their bike? Some of these hold some water, I suspect! But wot beats me, is the fact that throughout history, so many-many people have achieved mega-achievements in times of not mere austerity; but abject poverty, war, pestilence!... Can you think of any?? ?....There are loads. Here’s a short roll of people out of a non-exhaustive catalogue. For starters, the obvious protagonists: Richard Branson (who left school with very little credentials, got himself a criminal record for tax evasion at age 17) and now founder/owner of Virgin Group, with a capital worth of $25-Billion. Then there’s Lord Alan Sugar (who left school to sell TV Aerials and Yo-Yos), he’s now 800-million quid better off. 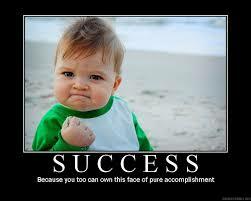 And of course Bill Gates (who flunked out of Uni) founded M.S and became one of the wealthiest men on the planet. What about the 2 boys who went to a rough secondary comprehensive school in Liverpool, who were often chucked out the Music class for being disruptive, and dismally failed their ‘O’ Level Music exam? Well, Paul McCartney and George Harrison have done fairly well, haven’t they? There was a small girl who had very hard time at school. Daughter to a tough market stallholder and laundrywoman, who died quite young. She then spent years in a deprived orphanage.Only, she went on to become a pioneering designer and icon in world fashion. Gabrielle Bonheur ‘Coco’ Chanel, founder of the famous fashion brand Chanel, had extraordinary influence on fashion world. Son, of wool merchant, and born into desperate poverty. Soon after his father lost his business. But this did not stop this eventual preeminent man. Sigmund Freud went on to invent and found the bedrock of psychoanalytic and psychiatry. He started in a mailroom for a music publishing company. He has since become an Artist and Repertoire (A&R) executive for Sony BMG in the UK, and a television producer and judge for major television talent contests including American Idol. Simon Cowell is close to becoming a Billionaire! With $1,000, dedication and desire, he dropped out of college at age 19 to start PC’s Limited, later named Dell, Inc . Dell became the most profitable PC manufacturer in the world. In 1996, The Michael and Susan Dell Foundation offered a $50 million grant to The University of Texas at Austin to be used for children’s health and education in the city. Having dropped out of high school at 16, his s career and accomplishments are astounding. The most influential animator,Walt Disney holds the record for the most awards and nominations. Disney’s imagination included cartoons and theme parks. The Walt Disney Company now has annual revenue of $30 billion. As a young, 20 year old housewife with no business experience , Debbi Fields started Mrs. Fields Chocolate Chippery. With a recipe for chocolate chip cookies, this young woman became the most successful cookie company owner . She later renamed, franchised, then sold Mrs. Field’s Cookies. At 16, he left home to apprentice as a machinist. He later started a Small Motor Company to manufacture cars . HenryFord’s first major success, the Model T, allowed Ford to open a large factory and later start the assembly line production, revolutionalizing the auto-making industry. With only a fourth grade education, this man started his own chocolate company. Hershey’s Milk Chocolate , which became the first US nationally marketed chocolate. Hershey also focused on building a wonderful community for his workers, known as Hershey, Pennsylvania. After attending one semester of college, he worked for Atari before co-founding Apple Computers. Now without the “Computers” in their name, Apple includes iPod, iTunes, and most recently the iPhone. Steve Jobs was also the CEO and co-founder of Pixar before it merged with Walt Disney. Sole owner, CEO, and Chairman of Ty, Inc., Ty Warner is a savvy, yet private business man. Ty, Inc., made $700 million in a single year with the Beanie Babies craze without spending money on advertising! He has since expanded to include Ty Girlz dolls, directly competing with Bratz dolls. Having never attended high school, Frank Lloyd Wright surpassed all odds when he became the most influential architect of the twentieth century. Frank Wright designed more than 1,100 projects with about half actually being built. His designs have inspired numerous architects to look at the beauty around them and add to it. So get on your bike, Build your Imagination, Creativity and Innovation quotient. Get ambitious. Get Determined. Think ‘CoCo.’ Think ‘Branson.’ And things will change for the positive. The answer is 'get real.' Learn, learn, learn. Be Entrepreneurial ! Virgin Galaxy and ‘First’ person or people to do something in sub-orbital space. It’s existing for someone like me, a real space buff since a kid. In 2015 Richard Branson’s Spaceship-One will take off into a sub-orbital space ride, taking ordinary folk into near zero gravity. One of the exciting things is ‘Firsts’ in space events, situations, out of this world records, and rituals. For example, who are going to be the first couple to get married in space? Here’s list that people will be ready and willing to pay extra for to be the first in space to achieve it. I could go on. Why don’t you think of some ‘Firsts’ in sub-orbital space! Bongo flava is the nickname for Tanzanian R&B/hip hop music is mainly as a derivative of American hip hop, with additional influences from reggae, R&B, afrobeat, dancehall, and traditional Tanzanian styles such as taarab and dansi, a combination that forms a unique style of music. The infamous Star Trek 'Tricorder,' that Bones uses to scan much bemused alien life-forms is a tech-model now seriously being put forward as a small, light, yet powerful sensor with on board Artificial Intelligence connected to the cloud that may reinvent the way healthcare dignotics is carried out forever. Peter Diamandis, Chairman and CEO of the X Prize Foundation, has put together the Qualcomm Tricorder X Prize worth 10 million dollars to the winner. 'Tricorder X was first conceived during the X Prize Foundation’s annual three day Visioneering summit back in 2010. In fact, the prize began life as two prizes—Artificial Intelligence (AI) Physician and Lab-on-a-Chip. 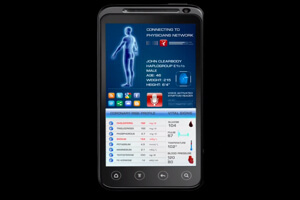 These two ideas were soon combined, and seeing the Tricorder-like potential of such a device, mobile communications firm,Qualcomm, signed on as sponsor. Tricorder X offers $10 million in prizes to the top three teams who develop a “tool capable of capturing key health metrics and diagnosing a set of 15 diseases.” The device must measure heart rate, blood pressure, respiratory rate, temperature, and oxygen saturation. Meanwhile, the onboard AI should be able to diagnose thirteen core conditions (eg., stroke, diabetes, anemia) and three of twelve elective conditions (eg., strep throat, melanoma, HIV). The required specifications are otherwise intentionally vague to inspire creative problem solving. In terms of design, devices must be five pounds or less; customer experience is a key metric in the judging; and the device must upload data to the cloud a minimum of every 12 hours. Today, most folks who feel healthy may record health data once every few years. Truth is, we don’t know what’s going on with our bodies until something major goes wrong. Tricorder X aims to give patients a history of daily data, the ability to track changes and patterns, and the comfort they might catch potentially hazardous conditions early. This Tricorder X infographic frames the problem perfectly. Have you ever wondered whether you need to see a doctor—but the only way to know if you need to see a doctor is by seeing a doctor. On average, patients wait 21 days to get an appointment and spend two hours at the doctor’s office. And if it’s night or the weekend—it’ll be the emergency room or nothing. Worse? 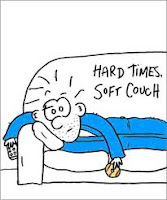 After all that, it’s a coin flip whether you get the right diagnosis or treatment. Having a reliable set of sensors at home coupled with a reliable diagnostic tool would answer that first question: Do I need to see a doctor? And if the answer is yes, odds are the doctor can double check the data and prescribe treatment online or over the phone—limiting visits to those times they are truly needed, and freeing physicians to dedicate the time, care, and attention patients want and deserve. 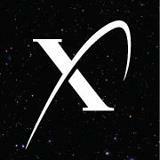 Registration for the Tricorder X Prize is set to run through August 2013. A qualification round in 2014 will pare over 250 teams down to ten or fewer. Finalists will design and build their technology in the second half of 2014 and run consumer tests in early 2015. The prize will be awarded no later than June 2015. Click to link to Tricorder X-Prize site. Larry Page has personally recruited Ray Kurzweil (of 'The Singularity is Near' fame) as the new Director of Engineering at Google. Kurzweil'S main goal at Google is to enable computers to comprehend and speak language just like humans while creating machines that can think and reason like the human brain. His project is to advance Google computer systems to understand natural language, not just do search and answer questions based on links and words, but actually understand the semantic content. This involves employing technologies that are already at Google like the Knowledge Graph, which has 700 million different concepts and billions of relationships between them. He is also developing biological software systems that can learn in ways analogous to the way the brain is designed, that is, in massively parallel hierarchical structures. Kurzweil says that natural language understanding is the most important part of artificial intelligence. We first saw this when Alan Turing defined the artificial intelligence field in 1950, when he focused on natural language. If a computer can be indistinguishable from a human in terms of written language communication, it is then at least beginning to operating at the full range of human intelligence. He met with Larry Page about his book How To Create A Mind in July 2012. He said he wanted to start a project based on these ideas. 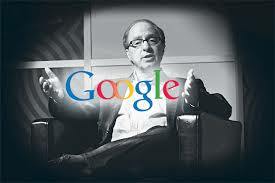 Page convinced Kurzweil to do it at Google as the resources already uniquely at Google. Google has been taking steps to make search more intelligent and human like. As new technologies are linked into one system that can understand language at a deeper level, an exponential rise in understanding of language will likely follow. 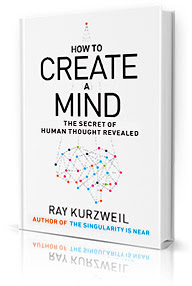 Ray Kurzweil’s new book — How to Create a Mind: The Secret of Human Thought Revealed . In the book, Kurzweil explores the most important science project since the human genome: reverse-engineering the brain to understand precisely how it works, then applying that knowledge to create vastly intelligent machines. Drawing on the most recent neuroscience research, compelling thought experiments, and his own research and inventions in artificial intelligence, he describes his new theory of how the neocortex (the thinking part of the brain) works: as a self-organizing hierarchical system of pattern recognizers. Kurzweil shows how these insights will enable us to vastly extend the powers of our own mind, and provides a roadmap for the ultimate creation of superintelligence — humankind’s most exciting next venture. “We are now at the dawn of an era of radical possibilities in which merging with our technology will enable us to effectively address the world’s grand challenges,” he says. “We are already seeing artificial intelligence go mainstream with the recent innovations of IBM’s Watson, the iPhone’s Siri, and Google’s self-driving cars. How to Create a Mind is Ray Kurzweil’s seventh book, joining The Age of Intelligent Machines, The 10% Solution for a Healthy Life, The Age of Spiritual Machines, Fantastic Voyage: Live Long Enough to Live Forever, The Singularity Is Near, and Transcend: Nine Steps to Living Well Forever. “One of the eminent AI pioneers, Ray Kurzweil, has created a new book to explain the true nature of intelligence, both biological and non-biological,” said AI pioneer Raj Reddy. ”The book describes the human brain as a machine that can understand hierarchical concepts ranging from the form of a chair to the nature of humor. His important insights emphasize the key role of learning both in the brain and AI. He provides a credible roadmap for achieving the goal of superhuman intelligence, which will be necessary to solve the grand challenges of humanity. One of the best books on the future of technology to come out over the last decade was 'The Singularity is Near' by Ray Kurzweil. Kurzweil forecasts how quickly key technologies such a Nanotechnology, Robotics and high level general Machine Intelligence will come about; and how it might impact on ordinary people's lives. What is so good about the book is that it is written for the layman technologist, with little or some technical knowledge in computing, chemistry, mechanics and software, yet seems to hit home the main points about the future of these key technologies. Take some time to absorb this epic classic!